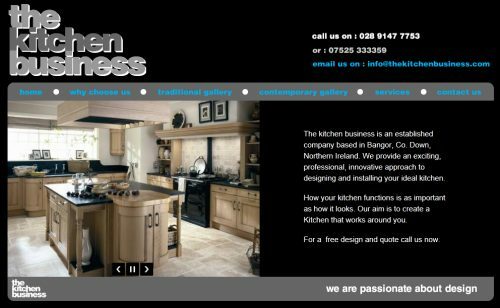 The Kitchen Business provide an exquisite range of traditional and contemporary fitted kitchens in a range of designs, materials and finishes. To display their range of products to the full potential we design an simple but eye-catching website for The Kitchen Business. The site includes a number of different galleries as well as information about the company, contact information and an interactive directions map.